Hatten Cares goes to Singapore! Hatten Cares takes immense pride in being an outstanding member of the communities that we operate in, and this time we have traveled across national borders to Singapore in a bid to spread our philanthropic efforts. 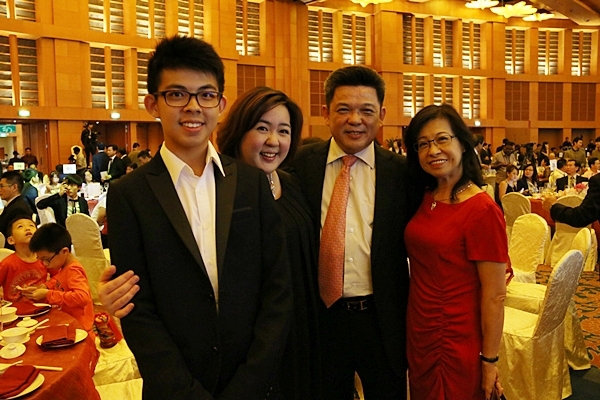 On Saturday evening, 19th July 2014, Hatten’s Group Chairman Datuk Wira Eric Tan and his wife, Datin Wira Janice Lu attended the fund-raising gala dinner for Bukit Gombak Community Club. This high profile event was held at the prestigious Resorts World Convention Centre. By 7pm, all 1,000 distinguished guests had taken their places in the Compass Ballroom and they rose steadily in applause to welcome the evening’s Guest of Honor, Singapore’s Prime Minister (PM) Lee Hsien Loong. Organised by the Bukit Gombak Community Club Management Committee (CCMC), this fund-raising gala dinner was in support of the CCMC’s objective to “promote racial harmony and social cohesion through the various cultural, educational, recreational, sporting, social and community-based activities organized specially for residents for the residents in the neighborhood”, on behalf of the People’s Association of Singapore. The Community Club’s building, in other words, serves as the heart where community-building activities are conceived. 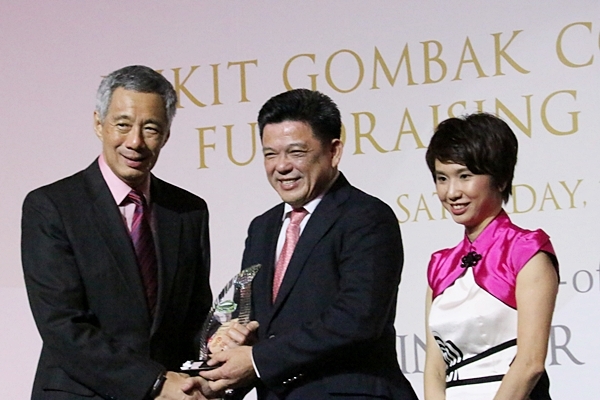 The well-attended fund-raising gala dinner was a roaring success, and ended with a finale toast where the jubilant Prime Minister announced that the fund-raising dinner had exceeded prior expectations to raise a whopping S$2,245,000. 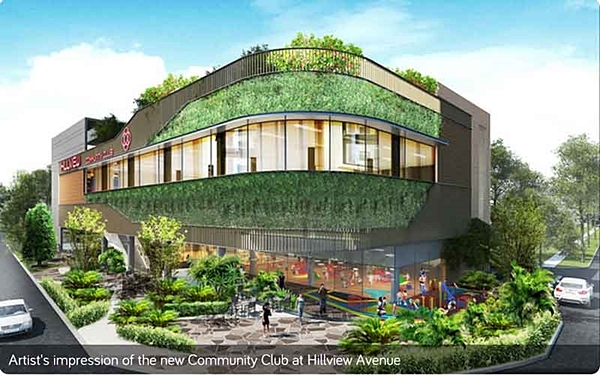 Expected to be complete in 2016, the new Community Club at Hillview Avenue shall serve 45,000 residents within the neighborhood. The design was conceptualised after gathering the residents’ views and feedback. Its architecture will be defined by open interactive spaces and green features such a vertical green wall and a community spice garden. It will also include F&B outlets, a dance studio, culinary studio, multi-purpose, hall, rooftop garden and other recreational facilities. As part of our many social and charitable initiatives, Hatten Group was glad to donate S$10,000 to the building fund of the soon-to-be built Community Club. On behalf of Hatten Group, Datuk Wira Eric Tan received a ‘Thank You’ plaque from PM Lee Hsien Loong in appreciation of our contribution. Hatten Group opened a new Singapore office in February this year and over time, we have carved a niche for ourselves among Singaporeans as the premier developer for integrated developments in Melaka. We are both honoured and delighted to be able to play a part in building a stronger and more vibrant Singapore. We believe that by giving back, we may fulfill our determination to build trust and longstanding relationships with our partners and investors. It is our hope that as our organisation grows larger, we may leave more footprints in the lands that we touch. This entry was posted on July 25, 2014 by Hatten Cares in Hatten ♥ Community and tagged bukit gombak community club, charity, CSR initiative, datin wira janice lu, datuk wira eric tan, fund raiser, hatten cares, hatten group, lee hsien loong, singapore, singapore prime minister.